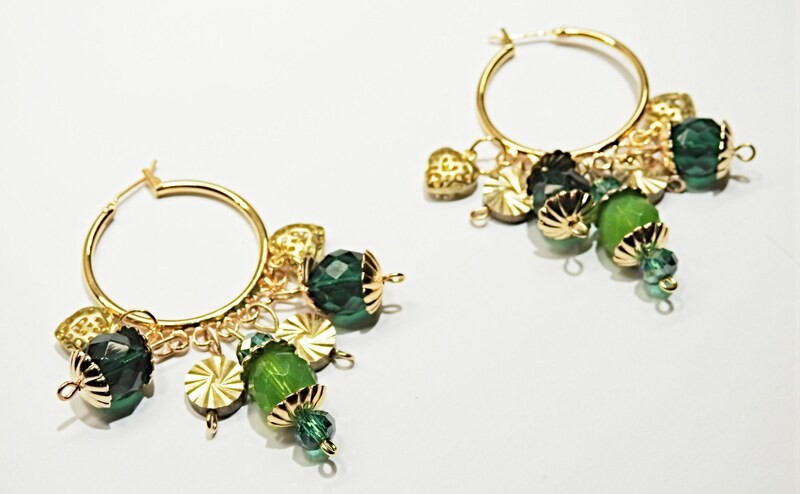 Fun, playful and elegant kelly green hoop earrings with charm handcrafted with glass Swarovski faceted beads. 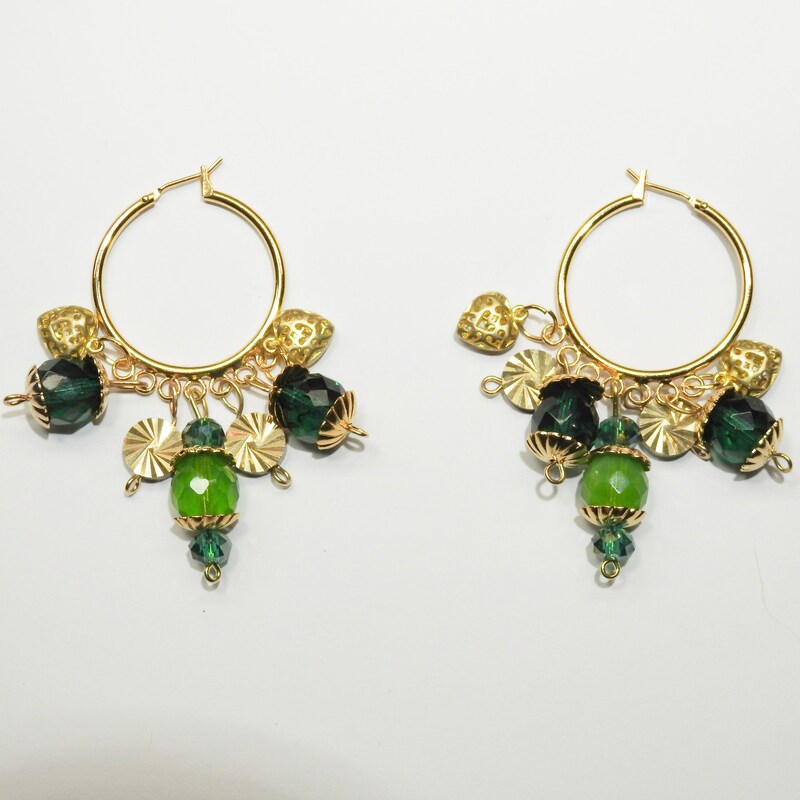 They are very movable and enjoyable to wear. 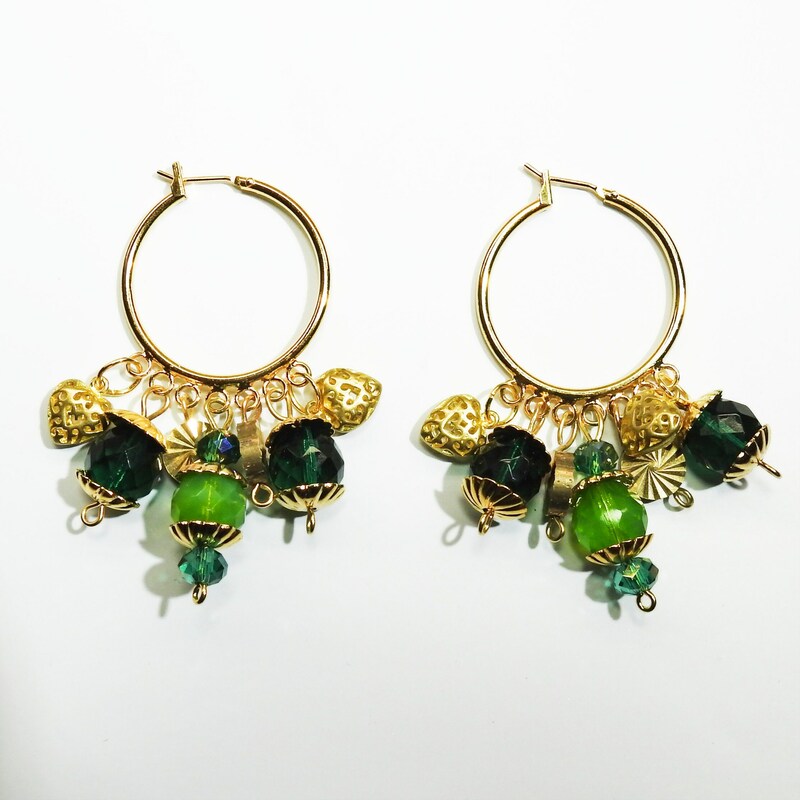 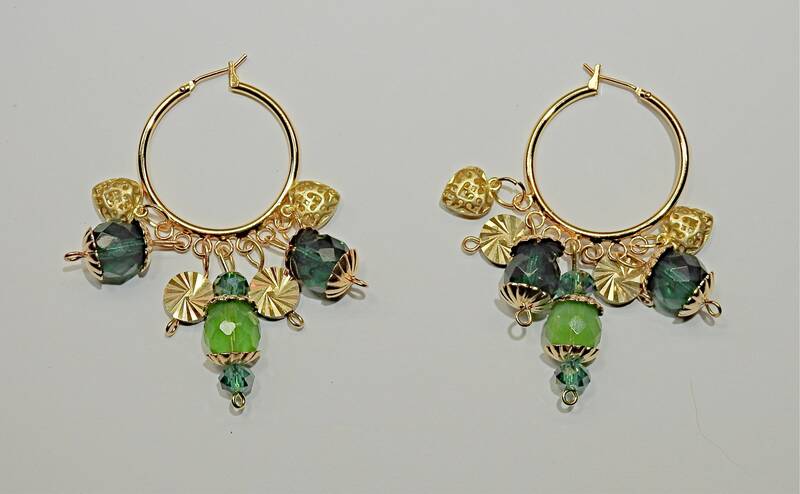 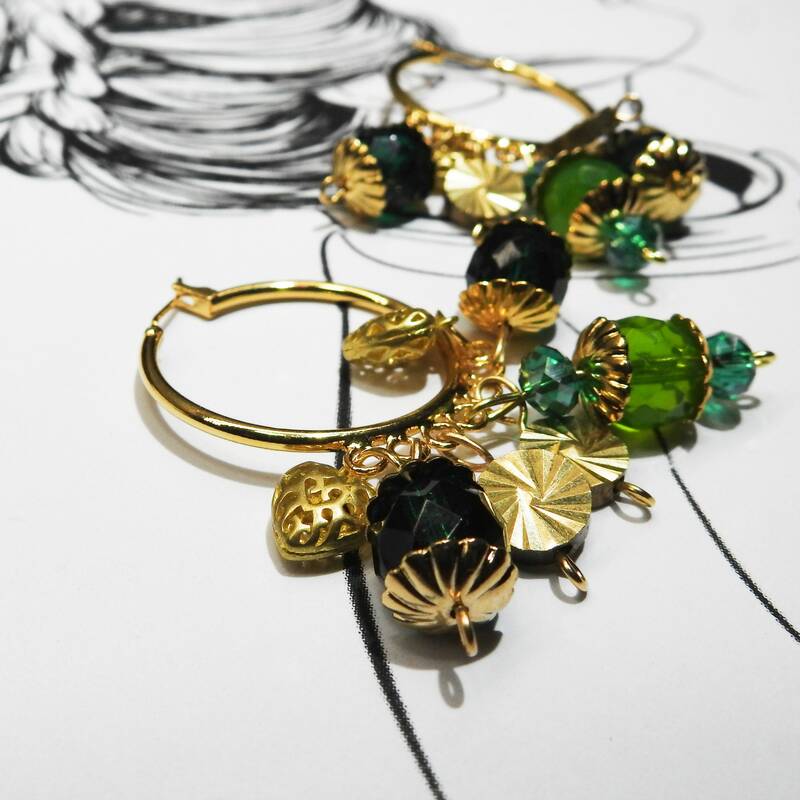 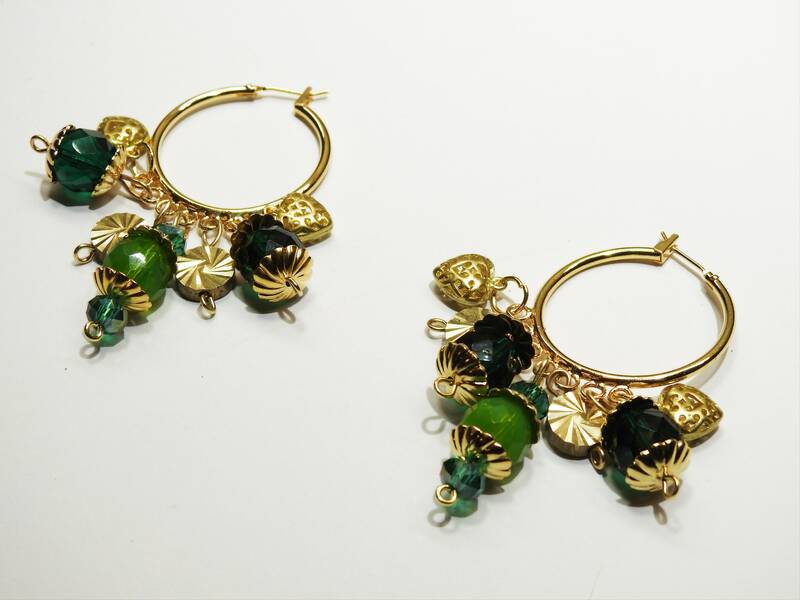 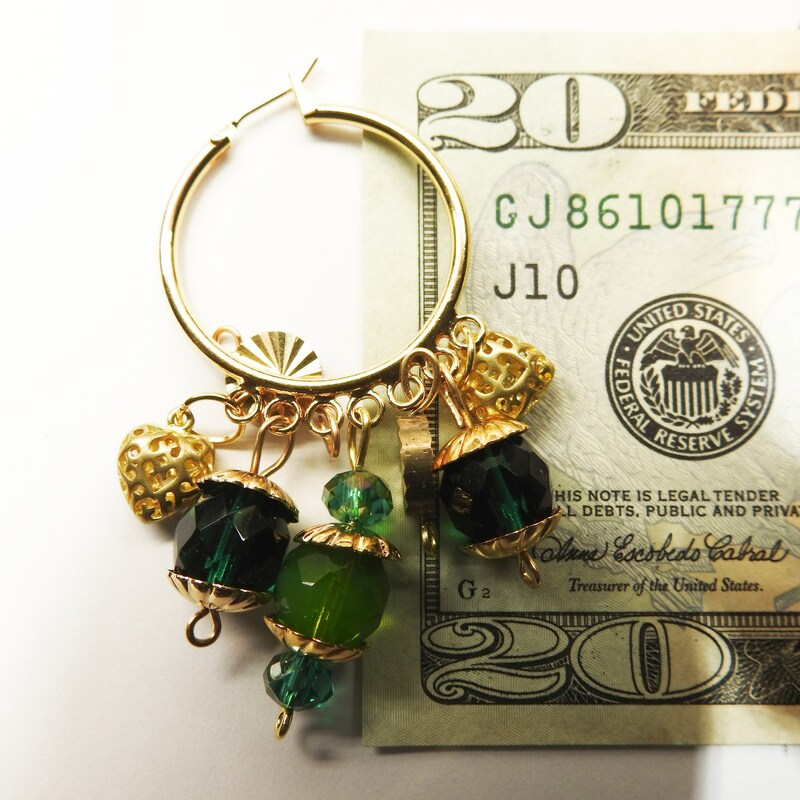 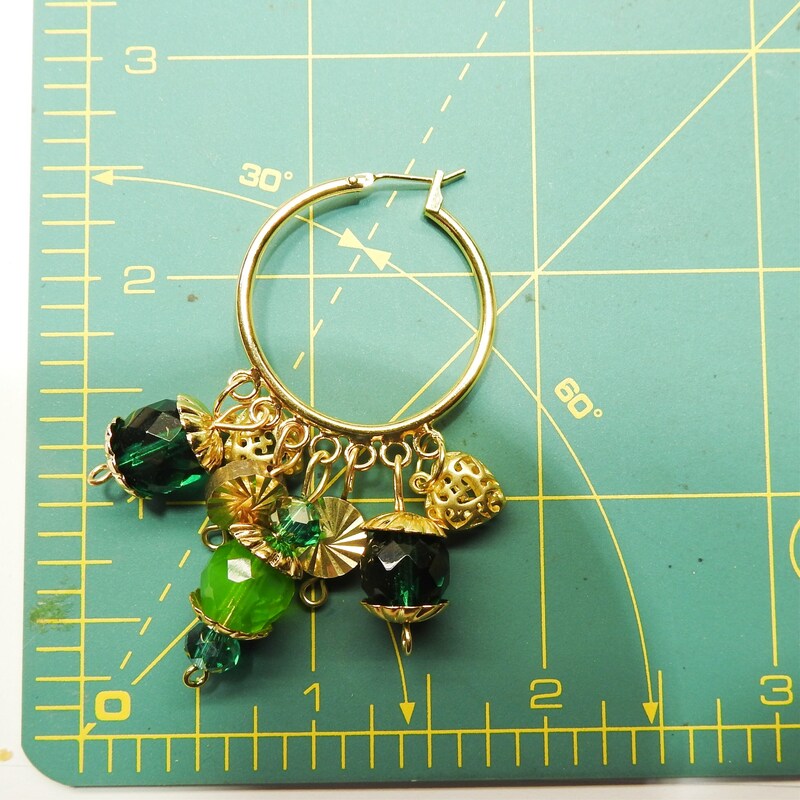 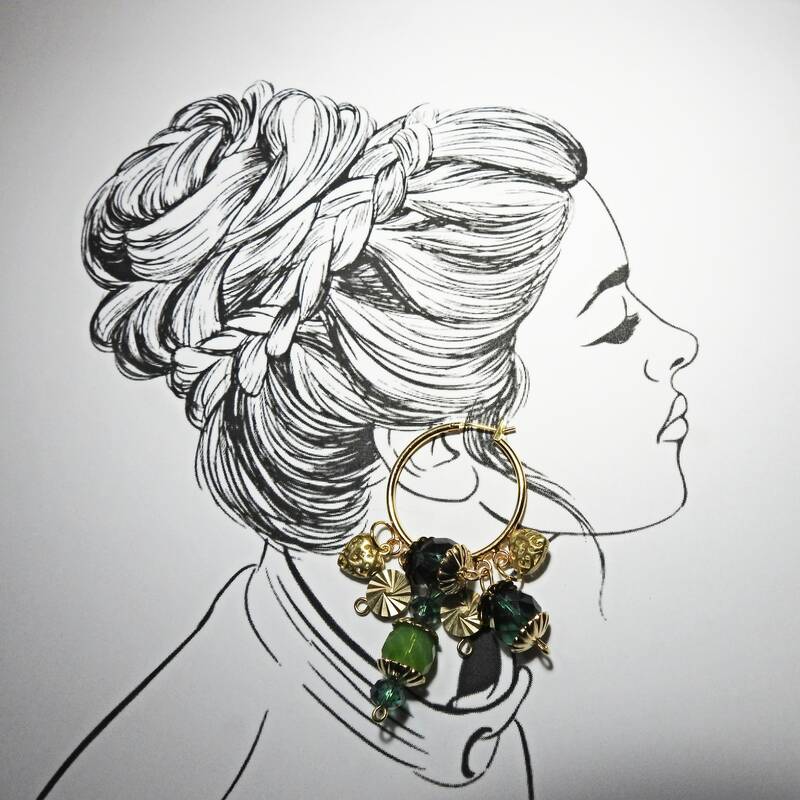 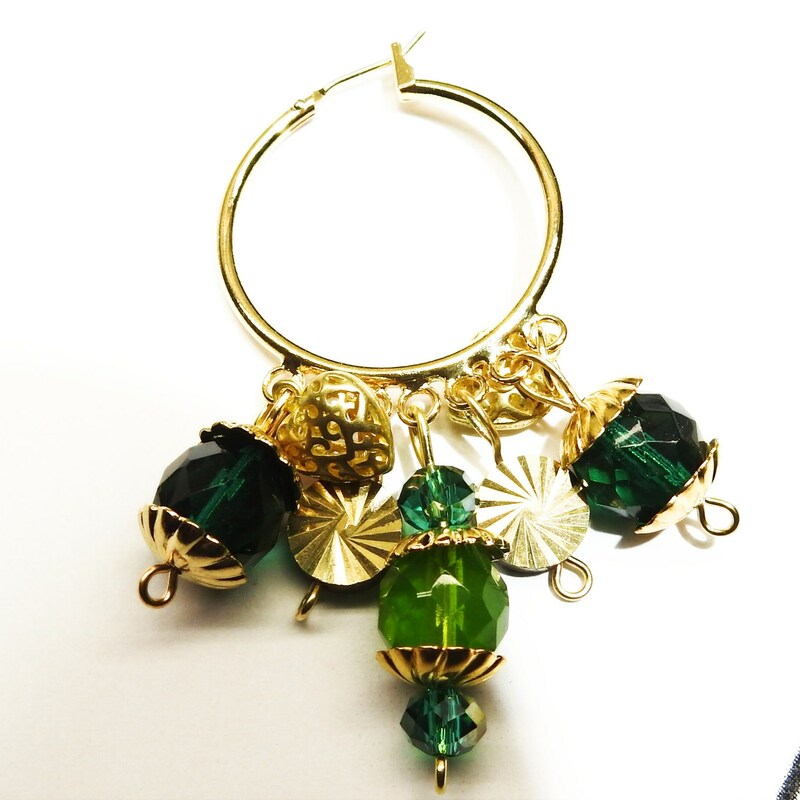 Thank you for exploring these olive green hoop earrings with charm.